Project Beacon, said to be a ‘ground-breaking new plastics recycling partnership… with the potential to recycle all plastics in Scotland and beyond’ has received £3 million in funding. 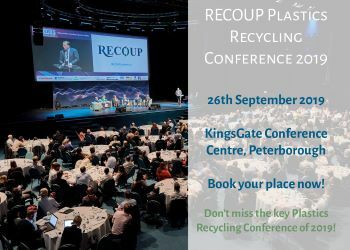 It is claimed that the programme will be able to recycle even those plastics that have traditionally been considered difficult to manage within existing recycling and waste management systems. An initial demonstration facility is intended to be up and running later this year. Located at Binn Farm in Perthshire, Project Beacon comprises four integrated initiatives. It is being backed by £1.7 million from Zero Waste Scotland’s Circular Economy Investment Fund and a further £1.7 million from private investment. PI Polymer Recycling, Recycling Technologies Ltd, Impact Recycling Ltd and Binn Group are the four companies involved in the project. The system being developed at Project Beacon combines the latest material separation combined with a chemical feedstock recycling process. The key element is said to be a patented process based on thermal cracking which has been developed to cope with difficult to recycle end-of-life plastic waste such as mixed, laminated, black, film, hard and contaminated streams. The process produces a range of chemical constituents that can be used to create new virgin plastics, or other chemical products.